Severe Thunderstorm hits Peotone arround 5:30 in the evening! A Severe Thunderstorm hit Peotone at 5:30pm on 8/21/14. At 5:30 pm the rain began. In 20 minutes from 5:30pm untill 5:50pm the rain accumulated 0.85 inches. That is a torrential downpour. But the biggest story of this storm was the wind. At 5:41pm the wind gusted to 67mph. At that time there were hundreds of people at the Will County Fair. 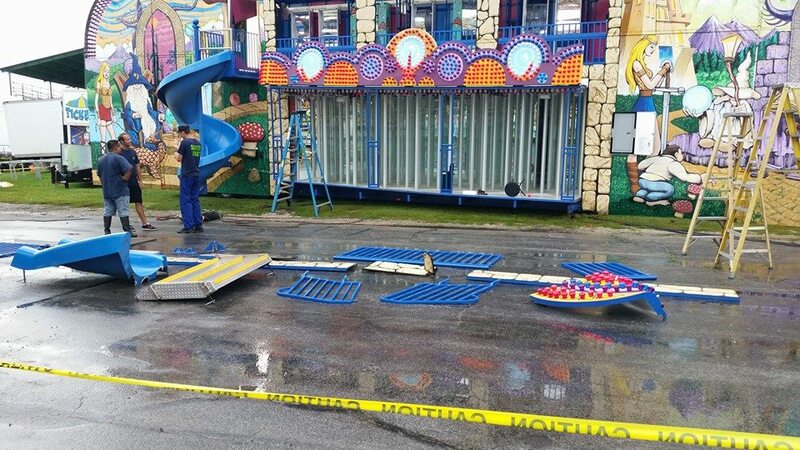 Fortunately no one at the fair was injured, though a tent came down, and there was some damage to a couple of the rides. Throughout town there was tree damage. A car was crushed on Louise Street. 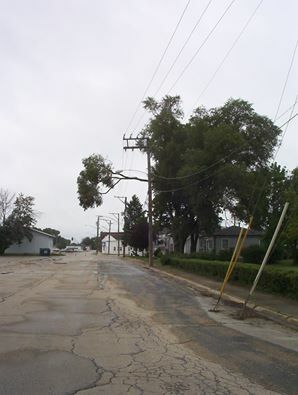 Power lines were taken down by wind and tree limbs on the West side of Rathje road. A tree completely snapped (almost a foot in diameter) to the South of the Connor Shaw school, and many other large tree limbs throughout town. 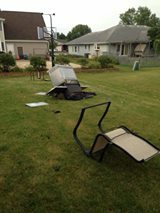 Needless to say there was plenty of lawn furniture and BBQ grills "misplaced" by the storm. 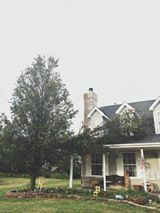 Below are photos of the damage from the storm.If you hover the mouse over the image, It will show you who the Photographer was that took that picture! The page loads slow because I used full size (higher quality) photos.